Garry Coff Consulting Services has been involved in the design for change to health facilities across South Australia for the last 25 years and has a wealth of experience in the implementation of new strategies to improve the way Health Services are delivered to the community. The Commonwealth and State Governments are introducing new initiatives in the establishment of Primary Health Centres that can successfully integrate State and Federally funded Community Health Services with General Practitioner and private Health Professional service providers. The roll-out of the GP Plus Health Care Strategy in mid 2007 was an acknowledgement t hat the Allied Health Professionals and Community Care Services across the State need better links with GP services and public and private service providers, to be able to generate holistic care to the many different cultures represented within our community. The integration of services and the improved opportunity to promote preventative health programs is a key component of the Government’s 20 year plan for service development to better address the reduction of long term chronic health conditions and to improve preventative medical support within the Community. Garry assisted Greenway Architects as Health Facility Planner on the team selected to develop design solutions for the new GP Plus Centre at Gilles Plains. The project is designed to provide shared accommodation for the Gilles Plains Central Northern Area Health Service Community Health services team and the Aboriginal Outreach Health Service operating within the area and includes 1,300 m2 of new building. The project was completed early in 2012. Garry Coff Consulting Services was jointly commissioned with Rich Architects by the privately operated Clare Medical Practice, to design and document new practice accommodation in the main shopping precinct in the towncentre of Clare. The new building provided approx. 1000 m2 of nett area and included 14 consulting rooms, treatment area for minor procedures, pathology lab., X-ray and pharmacy dispensary. Garry Coff was commissioned as Health Facility Planner on the team headed by Hodgkison Architects to carry out an urgent conversion of vacated office accommodation at the front of the Mitsubishi manufacturing plant on South Road at Bedford Park to accommodate Bedford Medical Clinic. The facility provided approx. 650 m2 nett. floor area and the accommodation required included 9 Consulting rooms, 3 specialist mole assessment examination rooms, specialist testing and Photo Dynamic Treatment areas and two minor Operating Theatre/Treatment rooms. The project was completed October 2009 and most elements of the practice could occupy the new premises within 8 weeks of commencing design. Garry Coff Consulting Services was commissioned to develop the brief, concept design, documentation and to Project Manage the upgrade of the Medical clinic servicing the Point McLeay community. The project included upgrade of the existing facility and addition of two consulting rooms, waiting areas, handicapped access toilet/shower and treatment room. 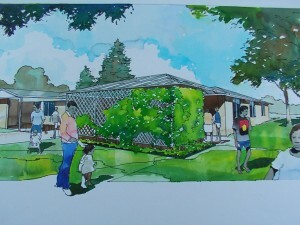 The project commenced in May 2001 and was substantially completed in July, 2002 with a final contract value of $ 158,000. Additional furniture was arranged subsequently and minor additional works to the value of $ 37,700.00 was expended to complete the project. The project included involvement by the local community in many aspects of the work as part of a construction trade training program for young men from within the community. The final fitout of the premises was completed in July, 2004. Garry Coff Consulting Services was appointed in conjunction with Hodgkison Architects to prepare a Feasibility Study for the upgrade of existing accommodation for the Health Service in Port Lincoln. 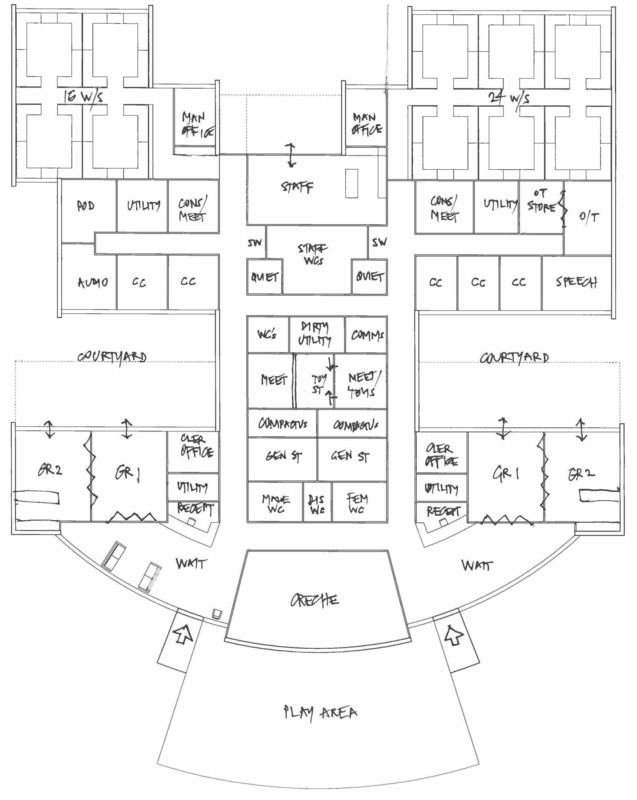 The Project required consultation with the Planning Team and Management Committee of the Port Lincoln Aboriginal Health Service and preparation of Operational Policy documentation, Accommodation Schedules for the Service, Concept Planning Layouts and the development of Engineering solutions to determine project cost for proposed facility alterations. The project was accepted for documentation and construction at a cost of $1.6 million. Construction was completed in late 2007. Swan Hill Aboriginal Health Service (SHAHS), Swan Hill, Victoria. 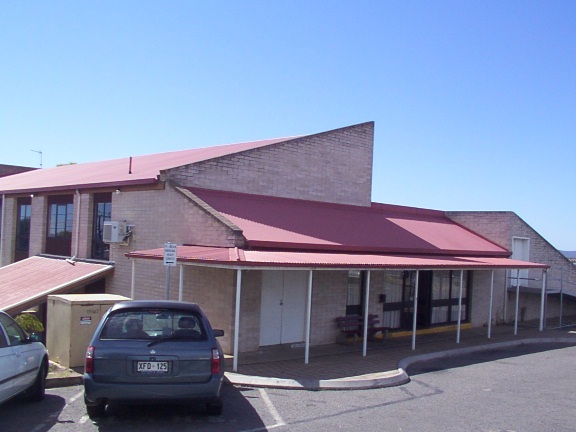 Garry Coff Consulting Services was appointed in November 2006, in conjunction with Jayne Sunbird Enterprises to prepare a Feasibility Study for the upgrade of existing accommodation within the vacated Council chambers in Swan Hill. The consultancy included extensive consultation with the local Aboriginal community to develop a Model of Service and prepare a brief for facilities requirements for the Service. The consultant team prepared a number of options to develop the facilities for Community based Support Services including Medical Clinics and Allied Health Services, resulting in the adoption of a Planning Concept at an estimated cost of $ 2.3 million in May 2007. Garry Coff Consulting Services was appointed in conjunction with Greenway Architects to prepare a Feasibility Study for the upgrade of existing accommodation in Wakefield Street, Adelaide. 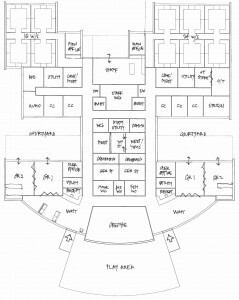 The planning process involved extensive consultation and negotiation with service providers to determine a Service Delivery Plan and Facility Design Brief that will meet the projected needs of the existing Medical Clinics, Allied Health Services, Welfare Initiatives and Aboriginal Sobriety Group (ASG) who currently occupy the existing facility. The planning process was completed in March, 2008 with the preferred Concept Plan requiring upgrading and expansion of the building at an estimated cost of $ 4.3 million. Garry has been working with the Lower Eyre Health Services (Tumby Bay & Cummins) since 2004, following on from conducting a review of Eyre Region to develop a Health Facility Master Plan for Health and Aged Care facilities throughout the Region and to report on suitability for use, building condition and potential for future site and building development. 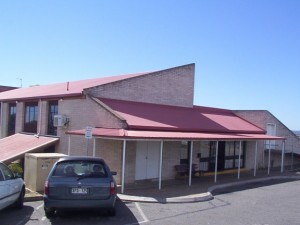 The Medical Practice and Emergency Unit accommodations at Tumby Bay and Cummins were selected as critical issues and he was commissioned to develop a ‘GP Plus’ type solution to better accommodate Allied and Community Health and Medical Practice services at both sites. The project is proceeding with plans being prepared to establish the Tumby Bay Medical Centre with the design emphasis focussed on improved service linkages between the broad range of Health Professionals represented throughout the District. The project was completed in late 2011. Lower Eyre Health Services Inc.